Please note that the location for this event has been changed to B Instructional Building, Room 215. Friday, August 29, 2014, 12-1 p.m. Parking for a fee is available at Chestnut and area garages. Flipped classrooms were incorporated into the curriculum at the University of Louisville School of Medicine in 2013. As defined by EDUCAUSE [PDF], the flipped classroom is a “pedagogical model in which the typical lecture and homework elements of a course are reversed” (2012). In this model, a student first gains knowledge on a particular topic electronically using any one of a number of strategies available to an instructor. This learning occurs outside of the classroom. Classroom sessions then follow which focus on the application of this knowledge. A critical component of replacing traditional lecture content with flipped classrooms in a densely packed curriculum is that this transformation is time neutral for the students. This session will investigate alternative strategies for delivering electronic content and in-class activities in a flipped classroom setting including student feedback from using this pedagogical approach to professional education over the past two years. Dr. Ellis joined the UofL faculty in 1987 and has been teaching biochemistry in the medical curriculum for over 20 years. Dr. Goodin has a clinical specialization in metabolic genetics and has been involved in medical education since joining the clinical faculty of School of Medicine in 2009. Drs. Ellis and Goodin have worked together over the past two years incorporating interdisciplinary flipped classrooms into the Genetics and Molecular Medicine course for first year medical students. Each flipped classroom has an application exercise component where Drs. Goodin and Ellis weave clinical and basic science content into interactive case presentations. Each in-class event includes low stakes assessments to provide formative feedback to students on their degree of mastery of concepts covered in the electronic component of the flipped classroom and their application in a clinical setting. 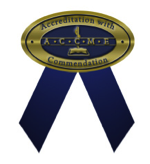 The University of Louisville School of Medicine is accredited by the Accreditation Council for Continuing Medical Education to provide continuing medical education for physicians. The University of Louisville Office of Continuing Medical Education & Professional Development designates this educational activity for a maximum of two AMA PRA Category 1 Credit(s)™. Physicians should only claim credit commensurate with the extent of their participation in the activity. This program has been approved by the Kentucky Board of Nursing for 2.4 Contact Hours through the University of Louisville Hospital. Provider Number 4-0068-7-16-715, expiration date July 1, 2016. The Kentucky Board of Nursing Education provider does not constitute endorsement of program content. Participants must complete the education module, post-test and course evaluation to receive contact hours. Note: Continuing education units are not available from the School of Dentistry for this program. Is There a Simple Formula to Understand and Improve Student Motivation?